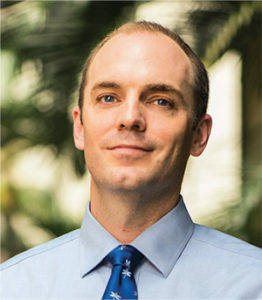 Ryan Engle's practice focuses in the areas of real estate litigation, construction contracts and disputes, and complex business litigation. He has been recognized by The Best Lawyers in America, listed as a Hawaii Super Lawyer, and honored by Pacific Business News as one of its Forty Under 40 leading business and community leaders. Represented a national REIT in a highly publicized constitutional challenge of legislation affecting the methods for calculating lease rent under long-term industrial ground leases. Successfully obtained ruling declaring statute unconstitutional under the contracts and equal protection clauses of the United States Constitution. Represented large general contractor in a landmark mechanic’s lien action involving a master-planned commercial project. Proceeded to a probable cause hearing and obtained a total mechanic’s lien against the project for an amount in excess of $20 million. Represented prominent Hawaii developer in ten-year long class action litigation alleging construction defects and statutory non-disclosure in the design and sale of units in a large-scale residential subdivision. Mr. Engle obtain summary judgment on half of the claims asserted by the class, resulting in a highly favorable settlement that involved the payment of only nominal damages to a handful of individual class members and the implementation of an extended warranty program. Represented one of the nation's leading generic drug manufacturers in highly-publicized multi-party case brought by the State of Hawaii alleging fraud and misrepresentation in the pricing and distribution of pharmaceuticals to Hawaii Medicaid program. Represented developer of low-density luxury subdivision on the Kohala Coast of the Big Island of Hawaii. The project consisted of both subdivided individual lots and luxury villa condominium units. Drafted six separate prime general construction and consulting contracts, and advised client on land use and environmental issues prior to and during phased construction. Mr. Engle is the President of the Board of Directors for Volunteer Legal Services Hawaii, and has served as a Director of both BIA-Hawaii and The Institute For Family Enrichment. He is a member of ULI, NAIOP, and the American Institute of Architects. Mr. Engle is also a frequent speaker at construction law seminars in Hawaii and the author of a number of construction-related publications.